This piece was painted in ‘Pedants’, the studio of Kaspars Zarins, in January 2006. 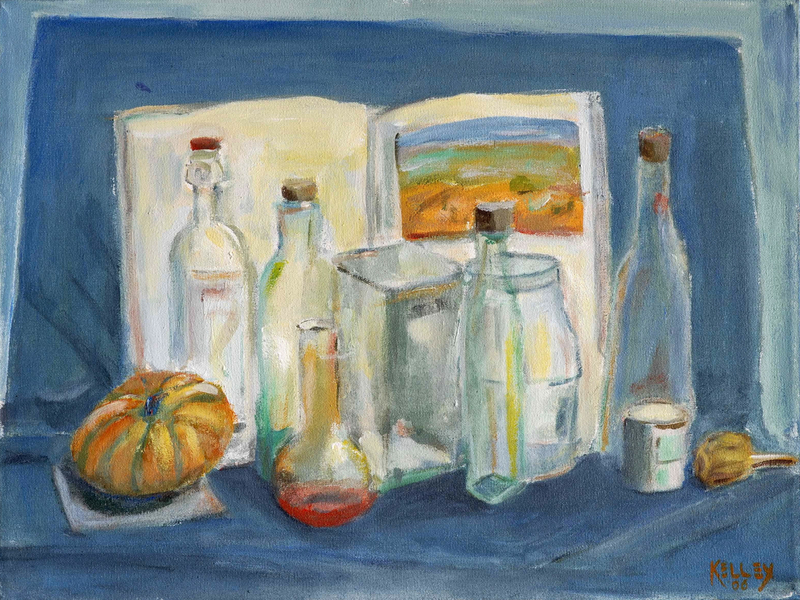 The set up of this still life is unique in that it combines two objects I like very much…a pumpkin and a Monet painting. I have made several still life works with works from the great masters in the background. I gave this to my daughter for Christmas in 2006. Details:Acrylic on stretched canvas. 12 x 16 inches • 30.48 x 40.64 cm.Price:In a private collection in Philomath, Oregon.